Here are some common questions about Live2Fish. What Language does the crew speak? On average 7-15 miles unless requested otherwise. What do they do with the fish you catch? The fish can be cleaned and filleted to prepare for cooking; otherwise it is taken by the crew. Bigger species like the sailfish and Marlin are released after the catch. Should a person bring any equipment? No, all necessary equipment is provided. You get wet! If the weather is too bad to go out, you will be reimbursed. We do recommend you to bring a hat, shorts, t-shirt, sunglasses and sun block, and of course, your camera. Do you provide Transportation from my hotel to the marina dock? Transportation is not included, but we will give you advice about the best way to get to our dock. Seasickness depends on the individual and the conditions of the sea the day you go fishing. We recommend that if you do not know if you get seasick, that you take a commercial motion sickness medication or use the wrist bands or patches that go behind the ear. Is not a bad idea to ask your doctor beforehand. If someone does get to the point where we must go in, please know there is no refund. So, you can help chum the fish. Do you do trolling or bottom fishing? Depends on the weather conditions of that day and the fish we target, we may do either or; however, the boat is always equipped for both. Generally for good to excellent service a 15%-20% tip is given if the crew is appropriate, but again is up to you. What are the Fishing Laws in the Bahamas? WE PLAY BY THE RULES AND FOLLOW OUR BAHAMAS FISHING LAWS. This document has been prepared by the Department of Marine Resources to assist the public in their understanding of the Fisheries Regulations that concern sports fishing in The Bahamas. Questions or comments may be referred to the Department of Marine Resources at 242-393-1777 (telephone), 242 –393-0238 (facsimile) or fisheries@bahamas.gov.bs (email). (f) no vessel have on board at any time -(i) turtle (ii) conchs, exceeding six; (iii) crawfish, exceeding ten; or (iv) other demersal fishery resources exceeding sixty pounds or twenty fish. (2) The limitation specified in (1)(d), (e) and (f) shall also apply to a Bahamian vessel engaged in fishing for purposes other than commercial by persons who are not Bahamians. (a) he holds a license from the Minister on behalf of the product or resource he wishes to export; (b) the product or resource is presented to a fisheries inspector at the time of exportation; and (c) the export duty on such product or resource as may be specified in the Second Schedule is paid. (2) Subject to paragraph (1) no person shall take out of The Bahamas migratory fishery resource which consists in total of more than six Kingfish, Dolphin and Wahoo or ten pounds of conch or crawfish or more than twenty pounds of other demersal fishery resource. (3) Subject to paragraph (1), a foreign vessel engaged in sports fishing for which a permit was issued under regulation 47 shall, on leaving The Bahamas, be allowed to export the amount of fishery products aboard that vessel in accordance with the catch limits under regulation 48. Live 2 Fish does run in the rain, but we do cancel tours at times based on unsafe conditions; this decision is made by our Captains. If a charter is canceled due to weather, this decision is made in our sole discretion; all prepaid tickets will be refunded or rescheduled. The following statement explains how the web sites operated by Live 2 Fish may collect and use your personal identifiable information. 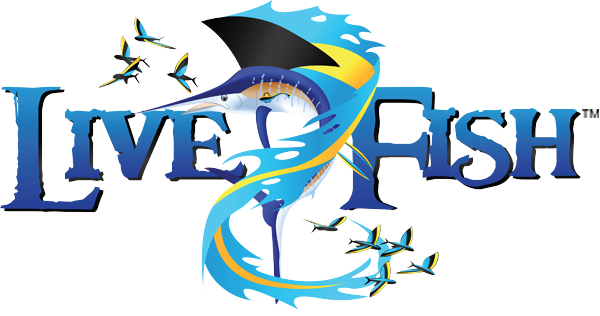 These Web sites include http://www.Live.2.fish, www.mybahamastours.com; and others. We will never intentionally disclose your personally identifiable information to any third party for their use without first receiving your express permission. We will not send you an e-mail unless you have requested it or unless it’s in the course of a transaction you have initiated. You can access our Web sites free of charge. Sometimes we will ask you to submit minimal personal identifiable information before accessing them. When do we collect your personal identifiable information? The information we collect for services such as these will vary, but can include your name, address, zip code, gender, user name, password, e-mail address and phone number. We also collect credit card information for purchases. Wherever we collect personal identifiable information, we will make an effort to provide a link to our privacy statement. Who else has access to your personal identifiable information? Third-party technology providers: In some cases, the service you sign up for is provided by a third-party technology or content provider. When you use these third-party services offered on our sites, personal identifiable information you provide may be collected directly by these third parties solely in order to deliver the services you have requested. These third-party partners may not use or distribute our users’ information in any capacity outside of the service for which we contracted and they must comply with our privacy policies. Some examples of third-party technology partners: Google, which provides us with maps and in-bound advertising. Live 2 Fish collects some information automatically via server logs and cookies. This information can include your IP address, browser type, domain names, access times and referring URLs. We use this information to prepare for peak usage times and ensure a fast-loading site, to help diagnose problems with our servers and to understand which features of our sites are being used and when. A ticket will be emailed to you. Please PRINT out your ticket before you arrive to the dock for your charter on Skycat/Live 2 Fish. Your confirmation voucher must be presented at the boat prior to boarding. Your confirmation voucher must be presented at the boat prior to boarding. Please arrive 15 minutes prior to your scheduled departure time. This ticket expires after your scheduled departure time and is only valid for the specified charter. Rebooking is subject to availability and additional fees will apply (however, smiles from our crew are free). This ticket is intended for the sole use of the purchaser and may not be transferred or resold. Live 2 Fish reserves the right to cancel cruises without notice or refuse to board any passenger for safety or other reasons. ***Tickets have no cash value and are non-refundable. SCHEDULES ARE SUBJECT TO CHANGE WITHOUT NOTICE. 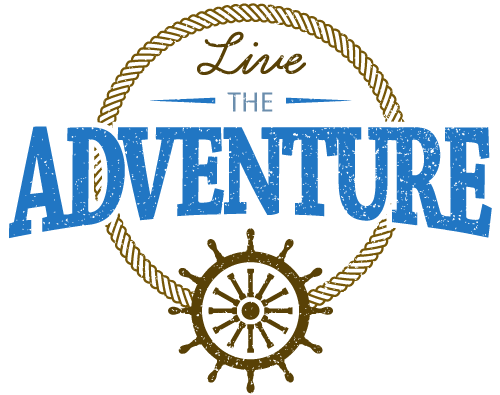 ALL CHILDREN UNDER 18 MUST BE ACCOMPANIED BY AN ADULT ON ALL CRUISES. Thank you for sailing with us, enjoy your charter.